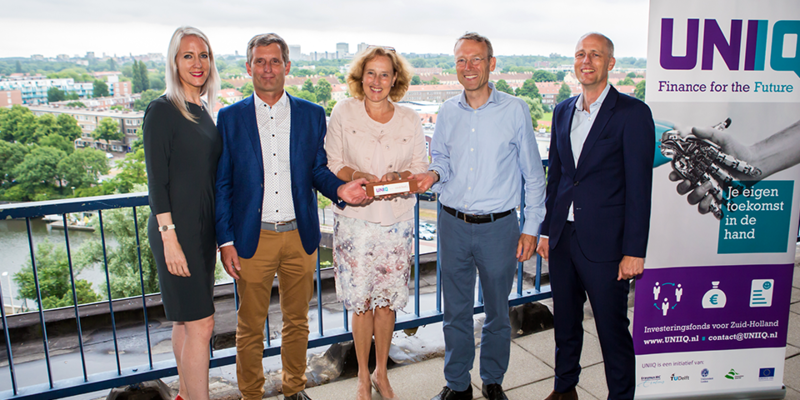 The Hague, June 29th 2017 – Condi Food will receive an investment of € 300.000 of investment fund UNIIQ to further develop and ultimately test their hyperspectral food inspection system with pilot customers. The system contributes to increasing food quality and -safety. 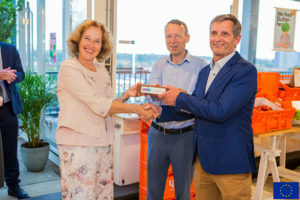 The investment was announced on the 28th of June by Adri Bom-Lemstra, member of the provincial-executive, at the international food and agri conference ‘ERIAFF’. To determine the quality of their product, food producers now rely on process checks and/or visual inspections carried out by staff. These methods are both labor-intensive and not fail-proof. Condi Food’s ambition is therefore to develop a system that allows inspection of all food products, without having to touch them or cut them in half. Robi Nederlof, Managing Director of Condi Food: “With the UNIIQ investment we can further develop current applications of our technology in the lab together with pilot customers. This would lead to a hyperspectral inspection system that is fit to function in the demanding production environments typical for our clients. Ultimately, we aim to replace the inefficient and error-prone monitoring techniques that are now in place for our food products with a continuous inspection system”.